One funder put it this way; “We say we’re supporting social innovation, but I don’t think we are. In fact, our own processes may be getting in the way of real innovation!” A group of funding partners in BC, interested in the problem of social exclusion of vulnerable populations, came together to figure out a process that could help themselves, their organizations, and their grantees to develop the capacity to learn and use a systems lens for more impact. This unique funder-driven initiative identified teams of potential grantees and then provided them with the opportunity for learning and coaching to develop strong proposals for social innovation. The eight-month long process created an experimental environment over a series of four workshops on social innovation and complexity, through which the groups developed their own innovative ideas. This collaborative process (5 funders in total, 12 community groups) “was breathed into life”; with the funders living the experience along with their grantees, participating in the workshops, applying learning to innovate within their own organizations and processes in order to support innovation in the field. The end results were some organizational restructuring for some of the funders, significantly higher quality proposals from the community, with the majority of these funded in summer 2015. How are they achieving this kind of impact? Being the change you want to see: “We needed to put our money where our mouth was, and lead by example.” Not only did the funders explicitly state that the initiative was an experiment, but they participated in all the workshops to support their own partnerships’ ongoing development. They also used what they were learning as an opportunity to explore their own and each other’s internal processes, and explore how to leverage all these for the benefit of the collaboration. They discovered shared processes meant more clarity for applicants in terms of a shared definition and expectations for social innovation goals, as well as less time and resources extracted from community throughout the application process. Finding common ground: For both the collection of funders and the groups of community organizations, there was tremendous value gained in learning about social innovation, allowing all to speak the same language for relevant idea development and assessment. Importantly, education about social innovation was also tailored to and shared with decision makers at the funding organizations to include them in the goals of common language and vision. In addition, all quickly saw that they could leverage other commonalities related to their goals and objectives in various ways. This reduced the sense of isolation and everyone became more conscious of being part of a bigger field; not as easily side-tracked by counter-productive thinking of their work as disconnected and unique from other initiatives. Managing risk: Learning more about each other’s contexts and realities, the funding partnership made space to openly discuss various risk factors, some shared and some quite unique, and to work together to manage those. This required a great deal of flexibility and a willingness to be explicit about limits that each had to doing ‘very new things’. Exit points were intentionally planned, should any one organization go beyond their own limits to challenge or reshape rules and processes of their home organizations. It was helpful to have more than one way identified to keep the initiative moving forward. What are the key challenges to this type of work? In short, these funders say that we need an evolution of grant making. They see a need for more willingness of funders to be open to what they don’t yet know about being a good grant maker and to step outside of specific mandates for the greater good. “There’s a need to examine not only what we do but how we do it;” an external eye can be very helpful for this kind of exploration. What does this tell us about system change? Believing change is possible: This initiative started from a place of not knowing what we didn’t know. “We were naïve and that helped us! It just made such good sense to all of us! It seemed completely doable! It required a low financial investment so it was a small enough scale to gain everyone’s commitment and to risk some experimenting.” Strongly believing that your idea is “possible” helps to simply begin, instead of talking yourself out of it before you even try. Begin and be ready to learn as you go. Impact across system scales: The initiative focused on building the capacity to change systems related to one broad issue area by focusing on education and training for key individuals. However, there was an intentional strategy to catalyze change at the individual level that would translate into change at a network and organizational level (for both community and funder organizations and networks). System change is possible when change is catalyzed across multiple scales. There is a growing recognition that we are living in an increasingly complex world where technical expertise alone cannot tell us how to resolve a problem and where we are forced to deal with unexpected outcomes and emerging new trends when we try to take action. New mindsets, knowledge and skills are needed. Getting to Maybe: A Social Innovation Residency, a new offering from The Banff Centre, brings this kind of training to people working for social change (http://bit.ly/1T200K5). Its target audience is people with a broad range of capacities and from different walks of life that share a genuine motivation to transform systems. The core premise of the program is that this can only be done in a holistic way. Therefore, the program blends many ways of knowing in order to build their capacity to perceive, understand and act in complex situations. The first cohort of the Getting to Maybe Residency completed the program in July 2015 and it has been highly evaluated. Early evidence shows that, in addition to the impact on individuals, the program has also had a positive effect on their organizations and initiatives. A holistic approach to professional development: The Social Innovation Residency grew out of the conviction that there needed to be professional development that truly dealt with a change agent as a whole. Social innovators are individuals with an enormous personal commitment to their work and that leads to a risk of burnout. Julian Norris, a member of the design and delivery team, explains that he councils participants to, “be really clear and centered in your purpose. Understand your own motivations around that at a quite personal level because when all of that is aligned you can move mountains and when it’s not you can create spectacular dramas”. That is why the residency places as much emphasis on inner work for participants to understand themselves and their motivations, as it does on understanding the systems around them. Recognizing the unique needs of social change agents: Capacity Canada is another organization dedicated to supporting social innovation and community organizations around Canada (https://capacitycanada.ca). Lynn Randall stresses the need to recognize the particular challenges of the sector, for example in working with volunteers, or in their unique relationships with their clients who often have nobody else to turn to. Similarly, Norris agrees that systems changers have particular needs that need to be addressed: “If you’re just running an organization it can be your job, it’s not necessarily your life’s purpose. For social innovators there’s a much closer link between their life’s purpose and their work in the world. So although the sector can learn from other leadership programs, there is a need to develop unique training, tailored to the social profit sector. Education and training trends: These programs find themselves part of broader intentional efforts throughout the field to support learning and skill building for the sector. Research and curriculum developed as part of Social Innovation Generation has been seeded in multiple places across Canada, like the SI Residency online modules, and the SiG knowledge hub. Innoweave is a national capacity-building program that incorporates funded coaching for organizations. Tamarack has rapidly grown its learning events in recent years. Capacity Canada offers a broad suite of programs that cover everything from board governance and key organizational skills to evaluation and mentoring, and are partnering with firms such as Axonify to look at how new technologies can make leadership training more effective and accessible. Resources, time and prioritization of learning seem to remain the key challenges to taking full advantage of professional development training for the social profit sector. Based on his experience, Norris suggests that the sector lags behind its corporate counterparts in terms of investing in leadership training. In part, this can definitely be attributed to a lack of resources. Lynn Randall from Capacity Canada agrees, but also suggests that culture around learning within the sector needs to change. She shares that there can be reluctance for some organizations to change what they see as an already successful formula for their work, a hesitancy to engage in learning that invites scrutiny, and most of all to divert resources away from those who so desperately need them. But professional development makes organizations more effective and efficient and may hold the key to actually solving complex problems, in addition to the need to address serious symptoms. Managing complexity: Coming to grips with complexity and building understanding and skill to effectively operate within complex contexts may soon be considered as fundamental as accounting. The ability to actively and strategically manage complexity can fundamentally change the relationship between individuals, organizations and the broader system. System entrepreneurship or system leadership is becoming more widely understood as a set of capacities that can be developed to engage as individuals, organizations and networks of actors, across sectors, and actively shaping the systems they operate within. This holds great potential for tipping social and environmental systems in more positive directions. Lab processes are an approach to tackling complex social problems that are growing in popularity in recent years. Such approaches bring diverse groups of stakeholders together to think creatively about problems they are intimately familiar with, in order to generate new conceptualizations, collaborations, and solutions that they try to apply in the real world. Labs like the Danish MindLab or the Government of Alberta Colab are changing the way governments work by introducing systems thinking into the heart of policy making. Solutions Lab at MaRS in Toronto is an example of a lab focused on social system challenges. Expert facilitation and process design: Labs need robust facilitation activities, designed to get people thinking collaboratively and critically about the system. The Energy Futures Lab benefits in this instance from having access to The Natural Step’s process called “the Framework for Strategic Sustainable Development.” The Natural Step is an established international leader in sustainability and has won numerous awards for its science-based approach to facilitating whole system processes for transition towards sustainability. High quality participation: One of the most critical elements to an effective lab process is having the right kind of participation. A lab can only succeed if its participants are able to bring a rich and diverse knowledge of the system to bear on the problem, can generate insights and solutions collaboratively, and then have the resources and authority to put ideas into practice. The Energy Futures Lab has recognized this requirement and has put a great deal of effort into a recruitment process that ran for six full months, from Mar—Aug, 2015. Tailoring labs to different facets of the system: There are many different types of lab process with different kinds of strengths. Mark Cabaj lists at least three main types, each most appropriate for certain contexts and types of goals. Social labs focus on the individual level and the role of people in shaping systems, with intensive personal transformation as the major pathway to change. Design Labs focus on aligning and adapting systems to better meet the needs of people they were meant to serve. These labs explore systems from the perspective of the different people within them. By starting small and focusing on ground-level dynamics, these labs often work towards systems change from the bottom up. Social innovation labs focus on assisting participants to better understand and work with the dynamics at play in complex problem domains. They aim to demystify the process of systems change and facilitate the development of novel, context specific strategies that consider systemic elements like scale and windows of opportunity. Labs are an emerging set of activities and Cabaj emphasizes the importance of developing a field of practice around this kind of innovation process. For example, we need to know more about what can be achieved by using different lab processes and how best to design a lab to solve a particular kind of systems challenge. Lab facilitation is a demanding skill, but we do not yet have an established body of practitioners who can set standards for how to run a lab well. In short, there is a lot of work to be done to build our experience with using and running labs, but it is unclear who will do this work. Who holds the capacity to engage with this kind of detailed practical work? How can we build this field before the momentum is lost? Standing still: To effectively deal with the complexity of systems, to deeply understand them, and to be able to develop a relevant strategy that has potential to change them, takes time and focus. Lab processes create reflective, safe spaces for thinking, making meaning, and accessing our creative energy. To support groups to stand still, effective labs are involved in gathering new data and intelligence from a broad range of sources, acting as research and development platforms; information pathways to stimulate new thinking and idea generation. The value of diversity: Engagement of diversity of all kinds is key to creating conditions for thinking and action that can stimulate system change. Conversations and collaborations that have system understanding and change as a goal are enhanced through the intentional and sometimes creative engagement of diverse perspectives, experiences, sets of priorities, even values. Depending on the challenge, multiple regions, cultures, sectors, disciplines, etc. can bring the required diversity of information but also acts to reveal assumptions, challenge mindsets, and catalyze insights that rarely occur when there is too much uniformity and familiarity. Some key others to consider engaging—those whom you believe to be the source of the problem, and those who are most affected by the problem. In response, governments are changing the way they do business. The Alberta Government Colab is working to bring systems and design thinking into government. This lab has already tackled over 40 challenges and is already oversubscribed, demonstrating the demand. At Edmonton, McIntosh is trying to facilitate an evolution and change in the organization’s systems, processes, programs and services. A large piece of this work is supporting the evolution of the culture and leadership of civil servants who are passionate about serving the public and are being asked to change within systems that are not changing themselves. For example, she is using gallery walks that connect front line staff with management in a way that is sometimes totally new to those involved. For many, this kind of opportunity comes with huge excitement, but also a challenge, as it means changing fundamental patterns of work that have been in place for decades. Engaging authentically with citizens: Traditional ways of engaging with citizens assumed that government needed to control the content of the conversation; but the Government of Alberta is reaching out to citizens to give them a real voice in policy-building. For example, the provincial government reached out to its citizens to create its Social Policy Framework, engaging 31,000 Albertans to set the future directions of social policy in the province (http://bit.ly/1QOwlF9). Challenging the culture of government respectfully: McIntosh believes in the commitment of civil servants to serve the public and recognizes the need for evolution in the systems. “I love the passion that civil servants bring to the table. I see huge opportunity for how citizens and public servants work together in the future. Evolving government systems will foster the relationship in the face of oncoming change.” Encouraging civil servants to work differently is a delicate task. It can be an emotional experience, Kate is working to help civil servants see new potential in their civil service. Continuity is always a challenge in government due to changing leadership. Evolving systems need long- term vision and consistent leadership support. At the provincial level, the social innovation endowment was unquestionably a huge spur for experimentation. Though work continues, the loss of this endowment due to the change in leadership has been a blow. Those leading innovation need to be firmly supported by leadership and to have champions willing to promote and defend their work at the highest level. Moreover, changing a culture is not just a question of commitment, but of skills and capacities as well. Civil servants will need to build their ability to understand systems, work with partners and manage risk. While building these capacities is possible at the individual level, normalizing them across the whole organization is a monumental task that will require significant investment of resources. How does this create conditions for system change? Creating a safe space for innovation: Experiments need safe spaces, ‘niches’, where they can be tried in practice, refined, and allowed to fail if necessary. Through to CoLab, provincial civil servants have such a safe space where they can not only experiment, but also have the help of a team of systems thinkers and designers to help them succeed. Vision-building: By engaging authentically with citizens, government is helping Albertans to build visions of the kind of society, and the kind of government that they want. The social policy framework lays out a vision for the province and efforts to work with citizens on policy development continue. By sharing and spreading this vision the government ensures that the citizens will come to support them in creating systems change. Partnerships that endure: One of the benefits of collaboration is that successful collaborations endure even when the projects that led to the initial partnerships fail. Often, shadow networks of partners, working together around shared values and ideas, can sustain the process of systems change during periods when there is little impetus to change in the broader system. If change at the government level is to become realized at the broadest level, partnerships will be the building blocks that make it happen. Fail Forward is interested in organizations like ATB Financial. A crown corporation, ATB has grown to be the largest Alberta-based financial institution. Sean Ballard is part of an internal unit called Emerge—a unit that exists to explore big trends on the horizon, make meaning of identified patterns, and experiment with new ideas that may (or may not) be worth investing in. Take, for example, the trend towards crowd funding: recently, Sean and his team at ATB created and tested a rewards platform for “main street businesses” that was subsequently launched through their small business group as www.AlbertaBoostR.ca. Building on what they learned from that, they are now creating and testing a crowd lending initiative where the crowd becomes part of the approval and funding, and ATB matches the funds (http://www.albertacrowdlenders.ca/). Now an opportunity to further test the model through partnering with SeedUps Canada has recently emerged; the first step was just announced! http://bit.ly/213JcI2. Responding to the broader context: The context is changing fast for this industry; the financial industry is being turned on its head. ATB has fully accepted that experimenting and learning quickly to do things in different ways is not a choice but a requirement in order to remain relevant and competitive; foresight is critical. Real world experimentation: Experimenting is not a theoretical endeavor for ATB: “We want to make things real through designing and then testing ideas out in the real world, in real time, with real people.” ATB experiments with prototypes as a way to help them understand trends, activities, populations, and as a creative communication tool. Their approach to experimentation: 1) start small (enough); 2) risk early; and, 3) move fast. Staging risk: Sean talks about learning to manage risk in a stage appropriate manner. Risk is multi-faceted and does not always look or feel the same. In early stages of exploration, there seems to be a lesser degree of risk required. As the story unfolds, the problem is clearly identified and the range of ideas emerge for consideration; thinking is risky but not as much as action. Next stages involve rolling out an execution plan, and ATB enters into these stages, consciously armed with learning and experience, moving through each part of the path, with an associated level of risk—allowing things like what to risk, what degree of risk, and for how long to risk, to continually shift in response to each step along the way. Distributed leadership: The CEO and Board of Directors are supportive and believe that this way of thinking and acting is critically important. The organizational leadership is deliberately and transparently moving to embrace risk. Sean believes that the individual leaders have the required mindsets and capacities and they lead collaboratively to institutionalize this as organizational culture. The leadership model that seems to best support this work is having Sean’s unit report not to one single department, but rather into a team of five senior executives, distributing authority and responsibility—and also this thinking and practice—across the organization. Culture change: Shifting the attitudes and values of individuals and their organizations is very complex and involves culture change at multiple scales in organizational systems or broader systems. Fail Forward is a unique organization, developing growing expertise, as well as a suite of ideas, strategies, tools, resources, and models, all of which supports alternatives to the typical failure adverse culture. Demonstrating alternatives: As part of preparing for shifting systems of any kind, it is important to support intentional efforts to imagine, test, refine, and demonstrate alternatives. The work of Emerge at ATB demonstrates an approach to not only experiment with possibilities, but also for gaining support for thinking and acting differently. These experimental activities serve to achieve a state of readiness to make the most of opportunities for positive change. New rules: Emerge at ATB is focused on outcomes instead of rules. Shifting away from traditional rules and towards new rules creates conditions for significant change. At ATB, the new rule is that learning is the measure of success. The guiding question is “What’s a problem that we can try to solve?” And experimental solutions do not need to be tied to any outcome, except the production of learning that is important to the organization. Multiple partnerships across organizations with common and/or connected goals in communities, has been fundamental to achieving impact for the ANFCA. Executive Director, Nelson Mayer believes in the power of partnerships to catalyze positive change at many levels. One outstanding examples is the Grande Prairie Regional College and the Grande Prairie Friendship Centre who partnered to open the only on campus Friendship Centre in Canada. This centre provides effective supports to Aboriginal students from all over the north who come to study at GPRC. It is an accessible, culturally appropriate, safe space, tailored to students who are far from home and in a totally new environment. Initial positive impact was clear as students reported an enhanced experience at the college which translated into increased retention; more aboriginal students successfully graduated from college programs. But over time, the extent of the impact has been much more than expected. Commitment To Making Time: At the individual level, invest the time to meet face to face and to stay engaged through the process required to be ready to truly partner. At the organizational level, work with Boards to gain understanding so that they will approve dedicating time to partnership building; their ongoing support is critical and so they need to understand and agree with the long-term benefits. Tune Into Positive Patterns: “An Elder once taught me a lesson about choosing to be positive. He gave the example of daily weather reports and how the emphasis is usually on bad weather, as in: There’s a 25% chance of rain today. Well, he said, that also means that there’s a 75% chance of sunshine—don’t forget that!” We tend to focus on what doesn’t work, what needs fixing. But we need to focus more on recognizing what’s working well; figure out how to replicate that. Incentives For Partnering: The national Friendship Centres network has created awards of excellence where the criteria highlights what they’ve learned about what makes the most effective centres; one of the number one things proven to support excellence, is a diverse range of partnerships in their communities. Time, Honesty And Empathy To Heal Long-Standing Divides: According to Nelson, when establishing a partnership, time must be invested in building genuine relationships. The long-term benefits need to be ‘sold’ and the danger of operating in isolation need to be revealed. Time is needed to truly understand each other, to be comfortable enough to be honest with each other, to feel safe enough to address trust issues and the suspicion that lies under the surface. On all sides, previous negative experiences exist that get in the way; these must be acknowledged and plans co-created to avoid similar negative outcomes. Pay Attention to Emergence: Surprisingly, 37% of students engaging in the activities of the Friendship Centre at the College are non-aboriginal. This is significantly enhancing the relationships between non-aboriginal and aboriginal students. It is now acting as an educational and awareness resource that is supporting integration and relationship building across cultures through, for example, the annual Spirit Seekers Conference. New understandings are developing. Scaling Out (replication): The ANFCA recognizes an important opportunity when a new, grassroots idea demonstrates its worth; it needs to be studied, documented and shared with other communities as quickly and effectively as they can. Nelson says, “We (aboriginals AND non profit sector) have been so often studied and given recommendations by external “experts”; while this can be helpful sometimes, we need to own our creativity and expertise and when we find something that works we need to discover why and how and have processes in place to harvest that learning, share with others, and support effective scaling to other contexts and for bigger goals.” The organization works hard to pay attention to what’s working and supports and replicates, adapting to each unique community. Advocacy at the provincial government level for enhancing the collective resource base (changing financial resource flows). Where do you deposit your ideas? WHAT IS THE BANFF IDEAS BANK? The central purpose of the Banff Ideas Bank is to help citizens become more comfortable and familiar with participating in the public process. Modelled after the Global Ideas Bank in London, this initiative came to life to encourage citizens to engage with the community and municipality of Banff. 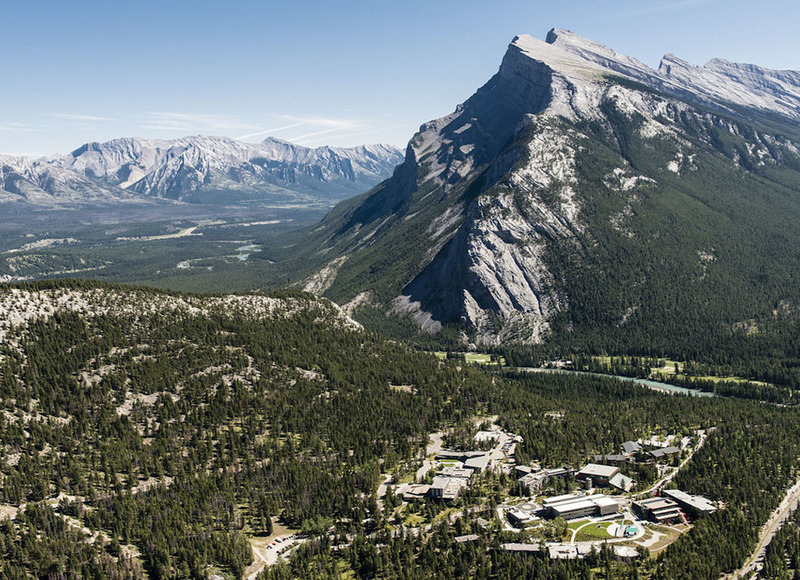 The idea for developing the Bank originally grew out of the Leadership Learning Lab at the Banff Centre in and evolved as an opportunity for the Banff community to rethink how dialogue around municipal decision making could better involve community. The ‘Bank’ hosts a monthly “conversation café” based on a variety of local issues and topics determined by participants,motivating individuals to practice direct public engagement and allowing the municipality to connect with the public through a softer ‘coffee house’ approach. The Banff Ideas Bank has been running since 2010 and in five years it has influenced the local culture of citizen engagement with municipal government through a dialogical process. The Banff Ideas Bank is not overly concerned with outputs, but rather focuses on fostering dialogue. It is a space to generate ideas where priority suggestions are filtered toward decision makers. On an annual basis, 50 of the community’s top ideas are published in the Banff local newspaper to showcase what engaged citizens are thinking about. Starting from the personal and then expanding outward gives participants the opportunity to understand the scope, scale, and complexity of the issues they’re considering. Encapsulated within a serious, yet playful culture, the conversation cafés are both formal and informal environments. Participants come with a desire to chat about the issues at hand. Through deep inquiry, they leave thinking about issues from a critical perspective, as well as build new and deeper relationships with individuals in community. Curbing Competition: Banff is a fun place to be. It has a lively night life, a beautiful physical environment, and a young population. As there are so many things to do, it was a challenge at times to get people out to the conversation cafes. Word of mouth became a powerful tool. Public Perception of the Conversations Cafe: People often think of public meetings as places where people talk with little movement towards action. Building the notion that the cafe was a way to build off of, and grow from, what the community has to say became valuable in shifting the public idea of what could happen within or through the public meeting process. Gaining Trust: When discussing community issues, the Banff Ideas Bank uses a process of thinking deeply and critically about an issue. Initially, the municipal government was hesitant about the process, not trusting the unconventional process of the cafe. Through an open door policy, municipal stakeholders had the opportunity to learn and eventually lend support for ideas to move forward. Neutrality of Common Space - Questions posed in the cafe are often rooted in meaty issues that affect diverse groups of people; for example: the Bank once posed a question around the “Idle No More” movement. Choosing a space where people feel safe, and comfortable in expressing their views is invaluable; it supports positive and action oriented conversation, even around thorny subjects. In the instance of the Idle No More discussion, the Bank hosted the conversation in a Parks Canada building, changing locations was tried in efforts to bring in new voices, Space has interests and this can have an effect on conversation. Outdoor gatherings are also often considered safe and neutral. Developing an Online Presence: Integrating the ideas generated in the “conversation café”within an online platform helps to establish and maintain community understanding of, support for, and traction for the ideas. The Banff Ideas Bank began as a critical connector and convener, bringing community together to reimagine how to contribute to municipal decision making processes. Over the course of five years, thousands of ideas have been generated, a pool of active critical thinkers has developed, and lasting friendships have formed. This has created a new community development model enabling citizens to more effectively engage in how their municipality makes decisions. For example, this new layer of active, engaged ‘civil community’ influenced the recent implementation of bike lanes, innovative crosswalks, pedestrian friendly spaces and street calming measures in the town of Banff. Transforming the culture of citizen engagement with municipal government around decision making has lasting impacts on a community. The Banff Ideas Bank is in the process of scaling. There is a new chapter developing on Cortes, British Columbia, a smaller community with different issues to tackle. The power of dialogue to shift culture around citizen engagement is a powerful force. We will keep you updated on what is happening on Cortes. Student Energy is a movement that works towards connecting the “passionate youth”to a network of students that can begin thinking about the transition to a new energy future from local and global lenses. Student Energy is driven by young leaders working towards solving energy issues. The student journey is rooted in a rich education around the energy transition delivered through various sources curated by unbiased authors, in an engaging format, through a systems lens approach. In addition to the content perspectives, students are immersed in a well connected network, with a shared inspiration to change the system. By gaining an in-depth knowledge and a deep understanding of the economic, social, and technological aspects that surround energy issues, students are equipped with tools to better understand how to facilitate the transition. Student Energy started in Alberta. Co-founder Sean Collins has a sense of grittiness, pushing for constant conversation around the subject of energy transition. Into it’s 7th year of operations, Student Energy has gained support from the United Nations, gained traction on several university campuses and formed international chapters in Nigeria, the UK, and Indonesia. They currently have 50,000+ members, with an increasing international reputation. The movement’s large scope and scale is sparking global interests around a sustainable energy future. As Albertans are beginning to dive more deeply into conversations and actions around climate issues, the environment, and our energy future, Student Energy fosters a mindset among students to inquire deeply and thoughtfully about the energy transition. The inquiring minds that are shaped by Student Energy will generate a pool of thought provoking youth that have the mindset to push the conversation in a new direction, possibly blending polarized perspectives around the issue. How can Alberta be more supportive in listening to the passionate student and support spaces to bring the global conversation home? What Makes Student Energy Impactful? Connected Cohorts: Student Energy is a collection of youth with an appetite for having conversations about systems change. They think together about innovative ideas to poke at what is possible. Without deep industry knowledge, the student body thinks in a particularly idealistic and hopeful manner. This common mindset, of self-wondering youth, creates an environment of trust and a community of belonging for the passionate amateur. As a result, students are able to have thoughtful, aspirational conversations about the possibility of energy transition. Ideas and Perspectives: Student Energy hosts an annual International Student Energy Summit. At the Summit, students meet others from different countries facing diverse realities when thinking about energy transition, giving attendees a chance to learn the power of perspective on a global level. For example, there is pervasive rhetoric around how developing nations such as India should not invest in coal power because it has negative impacts on the environment. Yet, India as a country wants to develop on the same terms as more developed countries did in the past. When international students encounter each other and engage in global conversations with local focus, the power of perspective unfolds. The summit allows the passionate amateur to gain new insights to counter their own perspective. The most valuable things flowing through Student Energy are ideas and perspectives. Keeping Alumni Engaged: Once students graduate, most end up working in the environmental sector, starting up businesses that support energy transition, or continue researching various aspects of the energy transition. Real world experiences shift the mindset allowing Alumni to introduce more experienced and complex perspectives on the topic. The passionate amatur evolves into a passionate professional sustaining the ideas of supporting an energy transition into the workplace. Student Energy Alumni attend local Innovation Jams and the COP21 in Paris where they continue to share and grow what they are learning through their work about how to thoughtfully and intentionally advance the energy transition field. 1. To shift our culture towards a notion of wanting to be at the forefront of the energy transition. They believe it is time for our province to move away from the negative branding of "only oilsands" towards a clean and just energy future. 2. To build on the assets of intellect that exist in Alberta: Intellectual assets are formed at many scales of education. Alberta has an exceptional university system and the provinces public schools rate in the top ten internationally. Sean Collins believes "we have the right ingredients (capital, business, engineering) we just haven't combined them in the right way." To recognize our educational curriculums to support social innovation would push Alberta in a positive direction. 3. To begin leveraging what works, Sean Collins, the co-founder of Student Energy is an Energy Futures Lab Fellow. Energy Futures Lab brings together impactful energy thought leadership and action-ers from across sectors to reimagine the future of Canada and the globe. The opportunity housed in the Energy Futures Lab is an opportunity for Alberta, and the rest of Canada, to reimagine the country's energy future. Agents of Change Partners is a real-estate referral, social purpose business that directs two-thirds of their revenue to the non-profit organization of the homebuyers choice. It's a new business model they believe will become mainstream. The Problem they’re trying to address? A huge and dysfunctional financial stability and sustainability burden has been placed on the non-profit sector in Alberta (and across North America). The majority of organizations and initiatives within the sector are forced to spend excessive amounts of time raising money and reporting on piecemeal funding from grant-writing and campaigning - leaving less resources for delivering impact. Agents of Change wants to strengthen civil society by fostering financial independence, sustainability and resiliency within non-profit organizations. While Agents of Change may be a real estate referral business at its core – it’s what they do with the referral revenue they receive after a successful match and transaction that’s where the innovation lies. Agents of Change custom-matches home buyers and sellers according to each buyer’s unique needs . This part is free and ensures a match with a professional agent who has been interviewed and vetted with their specific requirements in mind. When the buyer or seller buys or sells a home, Agents of Change receives 30% of the commission earned by the agent in exchange for the privilege of the referral – a common industry fee agents are used to paying already. Instead of banking the entire amount, 2/3 of the referral fee received by Agents of Change (the equivalent of 20% of the commission earned by the agent) is directed to a non-profit chosen by the buyer or seller. The result is an average contribution of about $2,000 to a non-profit that is meaningful to the home buyer or seller, at no cost to them. Hearing Tracey describe the way Agents of Change is attempting to shift the way we make our biggest life purchases and sales, and the way we fund non-profits at the same time, she gets the same question over and over again: why wouldn’t everyone buy or sell their house this way? According to Tracey - there’s even more to it. Agents of Change is attempting to address another capacity gap with Alberta’s non-profit sector by working directly with non-profit organizations to help them understand the power of a mobilized network. They coach non-profits to leverage their social capital and capture 20% of the commissions being generated by the real estate transactions of their various stakeholders, including staff, board, clients, donors, volunteers, etc. These transactions are happening all around them, all the time - why not turn them into a new, sustainable revenue stream? Finally, Agents of Change also creates shared value in the private sector by acting as the real estate referral agency when businesses buy/lease/sell property and relocate staff - again contributing 20% of the commission earned by the agent back to the company’s community investment initiatives, or any non-profit organization of their choice. One of the biggest barriers standing Agents of Change’s model faces - is the traditional, ‘stuck’ way people decide to donate and invest. Agents of Change is not a non-profit organization, but rather a social purpose, for-profit business. Due to this legal designation, says Tracey, obtaining sufficient financing to further develop and scale their model has been extremely challenging. They find themselves in a frustrating ‘no-man’s’ land for financing: on the one hand, funders used to giving grants/donations to non-profits are unwilling (and often unable due to their charter restrictions) to redirect those dollars to a for-profit enterprise, regardless of the potential for long-term impact in the non-profit world; and on the other hand, venture capitalists aren’t interested in investing in a business that can’t promise a sufficient (i.e. 20%) return and a relatively short-term exit strategy. It has been a challenge to find funders interested in a blended return. Agents of Change is disrupting the status quo in the real estate world by shifting the way people in Alberta (and across North America) think about buying or selling real estate AND how they can use that transaction to have meaningful impact in their communities. Earned $150,000 in revenue and directed $100,000 back into the non-profit sector, 95% of which stayed in Alberta. Generated an average contribution of $2,000 to a non-profit organization for each real estate transaction. Signed up over 60 non-profit partners. Had a 100% success rate with matches. Developed their program prototype for corporate partners. At this time, about 40% of the home buyers and sellers who contact Agents of Change do so because of the significant social impact generated as a result of each real estate transaction. For them, the impact is the most important part. However, approximately 60% of home buyers and sellers that come to Agents of Change to be matched with a great agent do so solely because of their expertise as a real estate referral service. For them, the free match with a great agent is the key driver. Of these, approximately half, or 30% of all clients, have no affiliation with a non-profit organization and are unsure what to do with the money they raise through their transaction. Agents of Change wants to partner with the affordable housing ecosystem in Calgary (and eventually beyond) to start pooling that money and directing it towards exploring creative and transformational ways to tackle the challenge of affordable housing. Innovate Calgary is all about supporting innovation. Period. They nurture new ideas and their creators along the entire pipeline of innovation and through each stage of development - from invention at the concept stage, all the way to the acceleration of a proven innovation. Their approach also recognizes that game-changing innovation cannot happen in a vacuum, but “takes an ecosystem to drive the commercialization success of an innovation or discovery”. Harnessing this ecosystem is what Tara Barnas, Innovate Calgary’s director of Marketing & Communications, believes will get Calgary recognized as a global leader in innovation. By taking a systems-thinking approach, they’re able to consistently recognize potential for cross-sector collaboration, leading to growth on both the commercial and social sides of the coin. This potential for the…‘sum of our actions to be greater than our parts’ ...is what led Alberta’s innovation ecosystem of support providers to drive the development of AlbertaIN, a “community driven and community owned online directory tool for entrepreneurs”. Launched October 7st 2015, over 70 service providers specializing in supporting innovation have already signed on – 34 of which offer services for social innovators. Similar to the way many non-profits harnessed Alberta’s entrepreneurial skill-set and spirit to develop numerous successful social enterprises in the province, we need to blur the lines between mainstream innovation and social innovation in Alberta. Both ecosystems have a lot to learn from one another and a lot of intersections to discover. Innovate Calgary and the AlbertaIN community hope to facilitate as much ‘ecosystem mingling’ as they can. To support social innovation specifically, they provide a diverse range of specialized services - ranging from intellectual property support, to co-working space, to the facilitation of key partnerships and referrals. In 2014/2015, Innovate Calgary worked with 6 social innovation technologies and provided services to 4 social innovation start-ups. An example of the kind of services social entrepreneurs and innovators are accessing is Rebecca Sullivan's (U of C) Gender @ Work Project. Gender @ Work is a social enterprise that facilitates organizational change and promotes equity in the workplace. Innovate Calgary has supported Gender @ Work by providing access to: Mitacs Funding, the BLG Law Clinic, Venture Development Service, and TEC Edmonton health accelerator. AlbertaIN plans to continue to strengthen the support network for innovative idea/product/program development throughout the province, and thus has plans to expand their network to include the more Northern Albertan service providers by 2017. They want to see an Alberta that provides a strong, well networked community to foster innovative ideas that lead to the growth of innovative solutions and enterprises. That sounds like the kind of Alberta we’d like to see too! The Good 100 Experiment is a two day workshop hosted by The Local Good where people with a desire to make change from different fields - like the local food community, artists, social activists, local business, social enterprise, government, indigenous rights advocates, charities, funders, design thinkers, nonprofits, alternative media and more - come together to have meaningful conversations. This dialogue fosters trust and connection between good people who are up to good things. The experiment plants seeds for collaboration as a chance to share what one knows while learning from others. The addition of each common tie makes the network stronger, enabling the experiment to seed things it never could have done on an individual scale.The collaboration supports positive impact in Edmonton because the sum of its parts lead to a stronger whole. The Good 100 Experiment reminds me of my grade 10 chemistry class. I learned that you can take carbon atoms and assemble them in particular hexagonal patterns of ties to make graphite. The graphite is soft and opaque. I also discovered you can take the same carbon and rearrange it into a covalent patterns of ties to make diamond. The diamond is hard, clear and multifaceted. Their properties differ dramatically not because the carbon is different, but because of the way the patterns of ties have been arranged. It is not about the nature of the carbon atoms themselves, but rather the nature of the how the carbon bonds are arranged. When we begin to connect and assemble in new ways, we produce results that we could have never foreseen. The Good 100 Experiment is creating spaces and facilitating new bonds through “Saavy do Gooders,”such as Nadine Riopel, who create ties between Edmontonians with the common thread to do good and create change. By facilitating opportunities like this, Nadine and others empower people to organize in new ways producing new properties that may uncover possible diamonds in the sediment of the social innovation ecosystem. These pattern of ties, and how they bond people through The Good 100 Experiment, is something we can use. It becomes a reservoir of value because what connects or flows across the ties is the richness of experience, learning, insight, competencies, and perspectives that can collectively and collaboratively inform the inventive or innovative solutions we seek. In other words, it will take the sum of our talents and experiences to tackle our most complex problems. As a province, we are building this reservoir and we are discovering some of the connector pieces like The Good 100 Experiment and AlbertaIN. Now as we gaze towards the future, how do we begin to connect in new ways to develop systems that are mutually supportive and aware of each other? This may happen if we develop awareness across geographical boundaries and sectors of other socially innovative projects. As we uncover the connectors, how can we can begin to imagine versatile communities that arrange themselves and bond in ways that are similar to the hard, clear, and multifaceted properties of diamonds. Terry was the lead consultant for the first part of a community-driven social innovation exploration in Alberta, funded by Suncor Energy Foundation, leading to his publication of the report: How can we put social innovation to work for Alberta? The main question driving his research: should we leap by learning and start a network similar to the neighbouring BC Partners for Social Impact? When he asked the BC Partners themselves this question, they said they weren’t sure - Alberta would have to do more research to see if it would work to serve the same purpose. What is it about BC Partners for Social Impact? The BC Partners for Social Impact story is a national bright spot of social innovation in action - a vibrant network supporting the frontlines of change with policy, capacity, knowledge and relationship. Now morphed in the platform www.hubcap.ca, BC introduces a shock of the possible. What we are capable of as a province? Should we echo BC’s process? Or adopt their approach? Maybe. These are questions the Fellows hope to answer over the next few months - but our main question is this: what is the pathway true to Alberta’s strength and character that would apply the best of social innovation to moving the needle against our most stuck, complex problems? How can and will Alberta Lead? Throwing down the gauntlet: Terry’s challenge for ABSI Connect Initiative and beyond..
Is there are enough common interests to make a social innovation network come to life in Alberta? Terry believes there is, even though the bright spots of social innovation in Alberta were hard to find he started his research - you had to dig. It surfaced the fragmented nature of social innovation activity and action in the province. This is where ABSI Connect has to take up the mantle of discovery, strengths-finding and storytelling. What if the ones who are innovative or doing the boundary-pushing simply don’t have time to engage? ABSI Connect needs to learn what is the number one support these folks need to make their work easier and their time available for engagement and knowledge sharing. Is the existing network(s) around social innovation in Alberta too one dimensional? There are many folks working at the ‘frontiers’ in Calgary that need patient and enduring support. Who is willing to wait for their results? Who is willing to experience failure as part of a process of getting to the best outcomes through experience? What shift in mindset will it take to responsibly and inclusively-engage with and in the work of the people at the edge of the status quo, innovating new possibilities for stuck problems? His final challenge? Let’s make Calgary not just the best city IN the world or for Social Innovation, but the best city FOR the world! Thank you for your time and insight, Terry. This is rich nourishment as we seek to weave together the story of social innovation in Alberta and prepare the way for folks to continue shifting the status quo for a vibrant, thriving and leading Alberta!